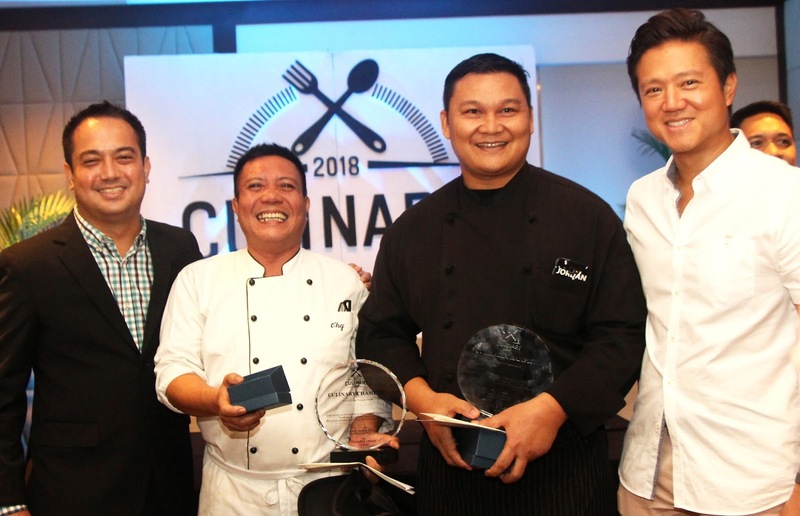 The Discovery Leisure Company, Inc. (TDLCI), a homegrown group of hotels and resorts, held the first Culinary Cup, which would be an annual event, at the Columbus function room of Discovery Suites Manila. The friendly inter-hotel competition allowed TDLCI’s various Food and Beverage teams to showcase their culinary skills. The event was sponsored by Wine Warehouse, San Miguel Beer and Meliomar, which provided fresh, sustainable seafood. All five hotels of TDLCI - Discovery Shores Boracay, Club Paradise Palawan, Discovery Country Suites Tagaytay, Discovery Suites Manila and Discovery Primea Makati - competed for the Culinary Cup trophies in three categories: Culinary, Bartending and Table-setting. Judges were renowned foodies: journalist Cheryl Tiu, accomplished restaurateur Happy Ongpauco-Tiu, social influencer Spanky Enriquez and lifestyle blogger Chuckie Dreyfus. TDLCI president John Tiu and chief operating officer Jun Parreño attended the event. Winners of the first Culinary Cups were chefs Ricky Bernas and Bernard Lauron of Discovery Shores Boracay, who won gift certificates for a stay in Discovery Country Suites Tagaytay. Albert Cartagena of Discovery Primea won the bartending competition, while Brienard Alavado of Discovery Suites Manila topped the table-setting contest. Visit www.discoveryhotels-resorts.com for restaurant bookings and inquiries.